1. Do you offer service in my area? 2. How long will it take for you to get to my home or business in an emergency? 3. In addition to traditional locksmith services, what else do you offer? 4. When do I need to get my locks changed? 5. What is a Closed Circuit TV (CCTV) system? 6. How can I keep my apartment, home or business safe? 7. How can I get a hold of you? Artie’s Locksmith has technicians in every neighborhood in NYC, including Manhattan (Upper East, Lower East, Upper West, Lower West), Brooklyn, Queens, and the Bronx. This allows us to be minutes away when you need us! The exact length of time depends on the location and the number of people locked out at the time. But we are open 24 hours a day, 7 days a week and we always guarantee a quick response! 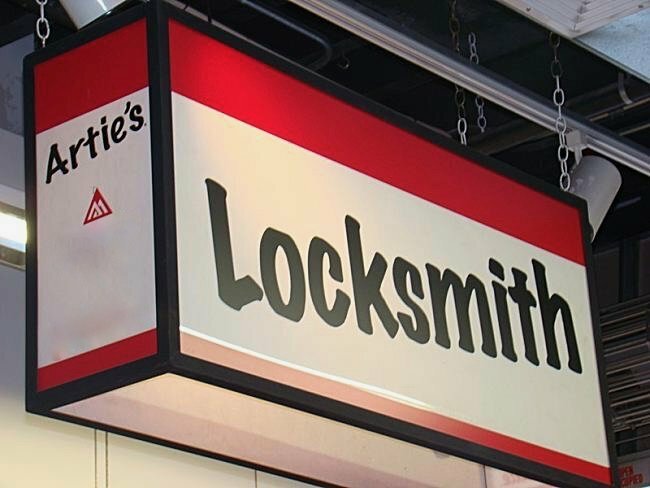 Artie’s Locksmith provides emergency auto, commercial and residential locksmith services, but we also sell and install access control, surveillance, intercom, and buzzers. Additionally, we sell, install, and maintain a wide variety of doors and gates. To find out the specifics, visit our Services page or check out this article from our blog! We suggest getting your locks changed whenever you move into a new home or business. You may not know who has a key to the old locks, and switching them out can give you peace of mind and provide additional protection to your household. CCTV systems are installed to deter and record criminal behavior and unwanted intruders in places of business. Its presence acts as an effective deterrent for criminal behavior, and is used for identification if a crime is committed. Obviously, locking your doors is the first step. But for additional safety, we suggest starting with a heavy-duty strike plate upgrade. If you want to take it a step further, consider having an alarm system installed. Read more about what you can do prioritize your security here. If you’re in a crisis, shoot us a call at (212)243-0381 and we will respond as soon as possible! If you aren’t in a rush and want to learn more about our key replacement, doors or security systems, call or send us an email. We will get back to you as soon as soon as we can with the information you need!